1. Passive Investing: This is the idea that you’ll always own some gold no matter what. You’ll either slowly amass a larger and larger store of gold for the sake of security, or you always keep a set percentage of your portfolio into gold. If this is your goal, you should check out SilverSaver, a website that allows you to automatically buy a set amount of gold and silver every month. I use this service, and it’s probably the easiest, simplest ways of slowly amassing gold and/or silver bullion over time. For example, if you set aside $200 per month to gold and silver investments, and in two years you want to cash in, you can have them either send you the money the bullion is worth or you can have them send you the actual bullion itself. If you opt for the bullion, you can choose between bullion coins, junk coins, bars, etc — whatever you want. It’s just an incredibly cool service. 2. Active Investing: This is the idea that you think gold is going to go up in the next few days, weeks, or months, and you want to buy it cheaply in order to sell it quickly without having to have it on hand. You don’t want to keep it in storage, touch it, or hold it for long-term security — you want to buy it with the goal of selling it for profits in the relatively near future. BullionVault is superior to buying straight-up ETFs for a simple reason: you actually own the gold discussed, not just a “derivative” of the gold. Plus, BullionVault is backed by the infamous Rothchilds family, and they haven’t been absurdly wealthy for centuries without reason. Great Summary. I’d have to agree that active investing in actual physical gold outside of the banking system is the safest and wisest way to invest. I’ve been buying recently from a Gold broker which stores physical bars in a secure vault in Zurich. The stock is in my own name with unique serial numbers and personal ownership certificates. I have complete ownership (no fractional or mutual ownership) and am able to inspect the physical gold should I wish. 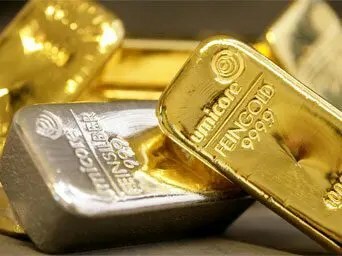 In my opinion websites are the best place to find out our choice because these sites provide different type of choices and sometimes they provide those things which are not present in the market in the cheapest rates so I think this is the perfect place to buy silver and gold for our investment purpose. Nice excerpt. I will go with active investment as I am an active buyer because currently investing on gold and silver is best for your financial growth. Due to high inflation rate, money spent on these will grow otherwise. Albeit the inflation is harmful for country growth but its benefiting others who are currently spending money on buying silver and gold. Thanks for sharing information in the above article. Has anyone checked out this company oxfordbullion.com? They offer great silver prices, and when I called they seemed to know what they were talking about. I will start with a small order and if they can deliver and continue to offer such cheap silver prices, I will forever be a loyal customer. If you have ordered from them, please comment on your experience, I would like to know what others think before I decide to go bigger. Thanks.